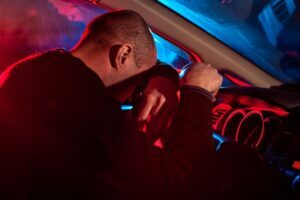 DUI in Colorado: What is “Per Se” and “Implied Consent”? If you have been arrested for DUI in Colorado, license sanctions take effect immediately after you register a blood alcohol concentration in excess of .08. This is known as a per se law, and it means that even if you have not yet been convicted of a drunk driving offense in court, the Colorado Department of Revenue (the state agency in charge of driver’s licenses) will take action regarding your ability to drive legally. The reading of .08 is enough to consider the driver impaired. Implied consent means that if you accept a driver’s license from the state, you have given consent to a blood alcohol measurement if a law enforcement officer reasonably suspects you are driving under the influence. If you refuse a chemical test after being asked to take one, the implied consent law means that the Colorado Department of Revenue can suspend your license for one year, regardless of if you are ultimately convicted of DUI or not. The detailed, official state information on Colorado DUI law and interlock restricted licenses can be found here. 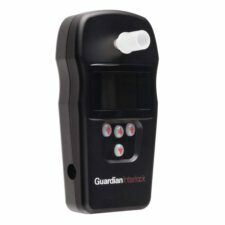 At Guardian Interlock, we can help you with early license reinstatement by installing an ignition interlock. Once you install an interlock and meet other requirements for a restricted license, you can continue to drive safely and legally, keeping in compliance with State Laws. Get your life back on track and back on the road after your drunk driving arrest. Call Guardian Ignition Interlock today at 800-499-0994 to talk with us about the requirements to get back on the road. Why Walk Like MADD in Gainesville Saturday? Her Name is Emily. There are a lot of ways to spend a Saturday morning in Gainesville, Florida. The most worthwhile way to pass this coming Saturday – 7 April 2018 – would be a walk to raise funds – and awareness – for the fight against drunk driving. The event is the Gainesville 2018 Walk Like MADD, organized by the northeast Florida chapter of Mothers Against Drunk Driving. 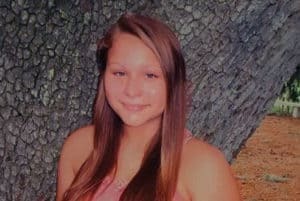 You don’t need a good reason to take a walk, but there is a very good reason for this one: her name is Emily Cook, a 15-year-old girl high school freshman who lost her life because she rode with a driver she didn’t know had been drinking. The driver lived, but Emily and her 13-year-old friend Ashely Ertle – the driver’s daughter – were killed. That was in 2014. MADD’s motto is No More Victims. The organization uses funds raised to support anti-drunk driving legislation (no-refusal laws, mandatory ignition interlock laws, and other proven measures), to help victims, and to raise awareness of the devastation that impaired driving causes on our roads and streets. The route of the walk, which begins at 9 a.m., will pass by the scene of the crash on NW 53rd Avenue. Participants who would like to walk, join a team, or create a team can register with MADD online. For some it will be a pleasant walk and a learning experience. For others it will be a time of remembrance. We hope that it will be another step toward No More Victims in Florida and beyond. If you’ve seen a photo captured by an ignition interlock device, it’s usually because someone was stealing a car and they were captured by the on-board camera. Many states and jurisdictions currently require ignition interlocks to be equipped with cameras. But not every state has that requirement, and Iowa is currently one of the few holdouts for on-board cameras. That may soon change. A new rule has been proposed as an addition to Iowa drunk driving law which would require cameras in all ignition interlock devices. It won’t stop someone from blowing to start a vehicle with a drunk driver behind the wheel, but it will capture a photo of them if they do. Why should Iowa drunk driving laws include cameras on ignition interlocks? When a photo shows a convicted drunk driver blowing into an ignition interlock, the monitoring company will have access to that image and they’ll know whether or not someone else was blowing into the device to start the car. If there’s an issue with the offender asking someone else to start the car, the monitoring company can notify whomever is in charge of that offender’s case. Some drunk drivers will ask a sober friend to blow to start their vehicle, but they don’t hand over the keys and let them drive. When they have a car that starts, that convicted offender is free to drive while under the influence, and it’s even more troubling when that sober friend performs a rolling retest so they can drink while driving. With an on-board ignition interlock camera, every time an offender or someone else blows, an image is captured. That might not stop the offender at the time, but according to Iowa drunk driving law, it’s a form of tampering with the interlock and the offender could lose their privilege to drive. Iowa drunk driving law should change for the better by July of 2018, and if that planned change does happen, the roads will be much safer in the state. There’s trouble brewing in the world of Oklahoma drunk driving law, and it could have a major effect on how first-time DUI offenders are penalized after an arrest. The Oklahoma Supreme Court has just ruled that a new drunk driving law, the Impaired Driver Elimination Act, is unconstitutional. Backing up to March of 2017, the Oklahoma State Senate passed new legislation that would change how a first time Oklahoma drunk driving offender would be treated under the eyes of the law. The new program was called the Impaired Driver Elimination Act, and it would allow first time offenders to reduce their driver’s license suspension from one year to six months when they install an ignition interlock in their vehicle. If these offenders completed the program they would not have the charge appear on their driver’s license record, and that means they can continue to work, drive their family, and move on with their lives without having to lose jobs or take a bus. This new law was signed by the Governor in June of 2017 and took effect in November 2017. Just one month later, the Oklahoma Supreme Court struck it down. They ruled that this new program, requiring ignition interlocks for first time offenders, violated constitutional guidelines. Specifically, there are 17 sections in the new law that dealt with driver’s license suspensions, ignition interlock devices, and blood and breathalyzer test. Combined, they denied a suspect his or her due process rights, and because of that the new law must be struck down. The decision was 5-4 and it was made by the Oklahoma Supreme Court, so it’s unlikely the law as it was written will see the light of day again. That’s unfortunate, because the bottom line with a program like this is that it offers offenders a chance to quickly get back on track with their lives after a DUI conviction. With an ignition interlock on your car, the court will be satisfied you’re not going to drive drunk again. When you have that interlock you shouldn’t be tempted to drink and drive either, and having the option to have that DUI conviction cleared from your record is something many convicted drunk drivers would opt for. 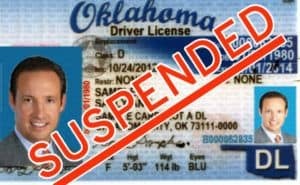 What will the state of Oklahoma come up with to replace the Impaired Driver Elimination Act? Hopefully it will include ignition interlocks as an option for all first time offenders, because that’s the best way to stop a drunk driver from driving drunk again. Lawmakers in Utah knew they faced an uphill battle when they changed the legal blood alcohol concentration (BAC) from the US standard of .08 to .05. They would acknowledge that there have been loud detractors to the new Utah drunk driving law, but the overwhelming response to the new BAC has been positive. Now they have even more proof that it was a good step in the right direction. Thanks to the new Utah drunk driving law, the state will receive the Prince Michael International Road Safety Award. The award will recognize everyone involved in changing the BAC including the Utah Department of Transportation, Utah Department of Public Safety, the Utah Legislature, and the Governor. Representatives have to travel all the way to England to receive the award, and when they are in Europe they’ll realize that having a .05 legal BAC isn’t that unusual after all. Most European countries, with the exception of England, have their legal BAC set at .05. Scotland has even had a .05 BAC since 2014. This award is coming at a time when opponents to Utah’s drunk driving law are becoming more vocal. The deadline for the change is December 30th, 2018, and some groups have gone as far as taking out ads in newspapers in an attempt to have the ad repealed. The problem? Their argument that the .05 BAC unfairly targets moderate drinkers instead of dangerous drunk drivers doesn’t stand up. It’s a fact that any amount of alcohol can affect your driving skills, so even if you’ve only had one or two drinks, you shouldn’t be behind the wheel of a car. The .05 blood limit enforces that fact, and the ultimate benefit of the BAC change will be in how the public perceives drinking and driving. If someone knows a single drink could mean their BAC is close to or at .05, they might think twice about putting the keys in the ignition. That change in perception could save lives, and saving lives is the goal of any state drunk driving law. Time will show: Utah is ahead of the curve with their new BAC. Hopefully the rest of the US will follow. There’s a lot going on in Wisconsin, not the least of which is that Wisconsin ignition interlock laws are officially changing for the better. But is ‘better’ enough to stop drunk drivers in the state? Governor Walker just signed several new bills into law, and one of them dealt with Wisconsin ignition interlock interlock laws. An ignition interlock — a device that requires a convicted drunk driver to blow into a tube to assess his or her blood alcohol content (BAC), is currently not required for first time offenders in Wisconsin. Repeat offenders are required to install the device. The bill closes a loophole in Wisconsin ignition interlock law that allowed these offenders to avoid installing the device at all. Because an offender is required to lose his or driver’s license for a period of time, they were only required by the court to install an ignition interlock when the driver’s license was reinstated. Some operating while impaired (OWI) offenders in Wisconsin were driving their cars before their license was reinstated, but if they were stopped for driving on that suspended license, they wouldn’t receive a citation for driving without an interlock. That’s because the interlock wasn’t required yet. The problem with an offender driving on a suspended license is that there is nothing to stop that person from driving drunk again. The bill changes Wisconsin ignition interlock laws to require an interlock to be installed immediately upon conviction, and that interlock will eliminate the possibility that the offender can drive drunk again. It’s a step in the right direction for Wisconsin, but an even better step would be requiring all offenders, including first time offenders with a BAC of .08 or higher, to drive with an interlock. Wisconsin needs to take a look at passing sweeping new interlock laws to include all offenders, because that’s the best way to clear the roads of drunk drivers. When a state begins the process of passing an all offender ignition interlock law, it’s almost always guaranteed there will be road blocks. In order to get the most support for the law before it goes for a vote, groups like Mothers Against Drunk Driving (MADD) will make a show of support by sharing victim impact stories and statistical data to demonstrate just why that law is needed. MADD Maryland came out for the Maryland all offender ignition interlock law by supporting Officer Noah Leotta’s family, and the state finally passed Noah’s law not long after. Now MADD Massachusetts is front and center as lawmakers attempt to pass a new bill requiring interlock devices for anyone who is arrested for drunk driving. Massachusetts is one of two states that does not have an interlock law for their first time operating under the influence (OUI) offenders. That means any first time drunk driver can choose to wait out his or her suspension or ignore it altogether and continue to drive after an OUI conviction. These drivers are only required to use the device in Massachusetts if they are arrested two or more times. To support the bill MADD Massachusetts has made their voice heard by testifying at the State House. They’ve shared data that indicates that ignition interlocks have stopped, in the past ten years, over 38,000 attempts to drive drunk in the state. That data is only for repeat offenders, so it’s easy to imagine how many first-time offenders would be stopped by these devices if they decide to drink and drive again. Along with MADD Massachusetts, several victims of drunk driving in the state have shared their experiences. Although the bill is currently still up for debate, it’s the hopes of everyone supporting it that Massachusetts lawmakers will make the right decision and pass this much-needed all offender ignition interlock law. Case Dismissed For Drivers Charged With Drunk Driving In New Mexico? Every state has a problem with drunk drivers, but the problem with drunk driving in New Mexico isn’t that police aren’t arresting offenders, and it isn’t that there aren’t harsh penalties for these offenders either. The real problem with drunk driving in New Mexico is how DWI offenders are getting let off the hook after they’ve been arrested, so they don’t face the penalty process at all. According to a New Mexico DWI Court Monitoring Initiative, 36% of DWI cases that show up in court are dismissed. That means there are a lot of DWI offenders who are arrested for drunk driving, only to be let off without facing penalties at all. It’s hard to believe the people found guilty amounted to the almost the same percentage as those let off, and as expected, it’s believed that the reasons come down to funding. According to the Judicial District Attorney, they don’t have the resources or staff to prosecute all of the cases and ensure those caught drunk driving in New Mexico are penalized the way they should be. Thankfully, additional funding is on the way. The Governor of New Mexico announced that there will be $300,000 in grants provided to the District Attorney in one county and an additional $100,000 in grants to another. These grants will help hire staff to ensure proper prosecution of drunk driving offenders. New Mexico has penalties like ignition interlocks to keep drunk drivers off the roads, but if these drivers are arrested and not prosecuted, there’s nothing to stop them from driving drunk again. 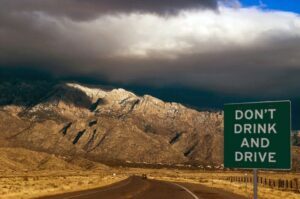 Let’s hope the additional funding gives New Mexico the helping hand it needs to turn the DWI prosecution rate around. It’s a movement that should be gaining momentum in the USA: parent drunk drivers have been hitting the roads in mass numbers over the past year, and after several arrests and even more New Mexico DWI charges, lawmakers in the state really need to take a look at cracking down on anyone who would think to drive drunk with their kids in the car. After one recent arrest made a police officer emotional, the state of New Mexico may be next up to consider an addition of enhanced charges to New Mexico DWI law. Office Toby Lafave saw a car weaving down the interstate going almost 100 mph. He pulled the car over and saw a little girl in the front seat. She wasn’t wearing a seat belt. He spoke to the driver and she told him she was scared because she was driving on a freeway, but she couldn’t get out of the car and could hardly stand up on her own. After several failed sobriety tests she was arrested for drunk driving and, because New Mexico doesn’t currently have enhanced DWI charges for anyone driving drunk with a minor in the vehicle, she also received one charge of negligent child abuse. After she was arrested the officer made a call to get someone to pick the little girl up, and that’s when he began to cry. On a video shared by ABC News New Mexico, he said, “God, it breaks my heart,” as he walked toward his car. This is just one case out of hundreds of cases where parent drunk drivers think nothing of putting their kids in the car while under the influence. Some drunk parents even let their kids drive the car, even though they aren’t even old enough to sit in the front seat. How best to crack down on these drunk driving parents? If New Mexico would take a tip from New York, they’d pass a law similar to Leandra’s Law. Leandra’s Law is a DUI Child Endangerment Law that charges a first offender with a felony if he or she is caught driving drunk with a child in the car. New Mexico is one of the four states without such a law. To a child, a ride in the car should just be a ride in the car. They don’t understand that a trusted parent or caregiver might not be fit to drive, and they don’t deserve to be injured or killed because someone makes the wrong choice. Let’s hope 2018 is the year New Mexico makes the decision to add these enhanced DWI penalties to their current laws. The state of Utah has shown that it’s serious about stopping drunk drivers, and it’s taken some huge steps over the past year to prove it. Out of those steps, the biggest happened when Utah DUI laws changed to allow for a new legal blood alcohol concentration (BAC). 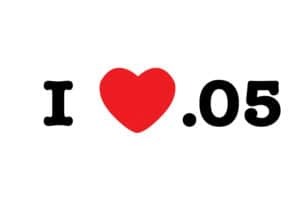 It moved to .05 instead of the standard .08. 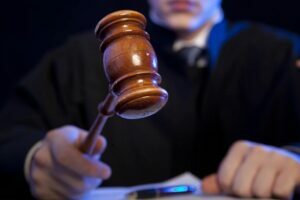 The Utah Supreme Court has now taken another step by passing a ruling anyone charged with a Utah DUI causing injury or death should pay attention to. Thomas Ainsworth, a 61-year-old man, was driving on Christmas Eve when he crashed into a family’s vehicle. He killed an 18-month-old child and injured his brother and parents. He said he was reaching for a cellphone at the time of the crash, but after he was arrested he tested positive for both THC and methamphetamine. He pleaded guilty to operating a vehicle and negligently causing injury or death, and he was sentenced to three consecutive prison terms, with one giving him 15 years in prison. But that’s not the end of this Utah DUI story. He appealed that sentence and it was sent to the Utah Court of Appeals. He felt as though he was given a harsher sentence than someone convicted of a lesser offense, and he also felt as though the consecutive sentences were too much for the crime. 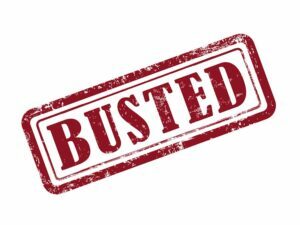 He used the Utah Automobile Homicide Statute and the DUI With Serious Injury Statute to argue that, if someone else had caused a crash like he did, they would have only been charged with a third-degree felony and he was charged with a second-degree felony. The Court of Appeals agreed with him. The case went to the Utah Supreme Court, and they disagreed with Ainsworth. Long story short, his original prison sentence was reinstated. Now, after arguing for a shorter sentence and no consecutive prison terms, Ainsworth is going to serve his original sentence of up to 45 years in prison. Because this case involved a lot of legal arguments, it’s all too easy to lose sight of the fact that it happened because someone drove under the influence and killed a toddler. At the end of the day, justice for this family is all that matters, and it’s good to see Utah DUI laws hold this person accountable.